Norwegian progressive/psychedelic black metal band ENSLAVED will be returning to North America this fall for a headlining tour marking the band’s 20th anniversary of existence. 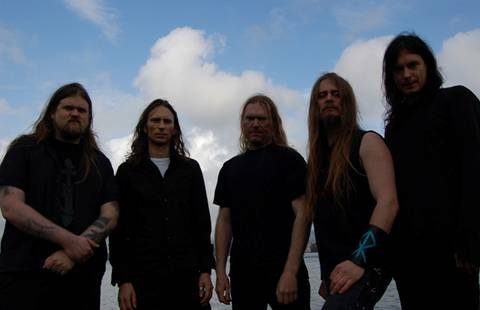 ENSLAVED’s latest masterpiece, Axioma Ethica Odini, won the 2010 Spellemann Award (the Norwegian equivalent of a U.S. Grammy Award) in the category “Best Metal Album,” won Terrorizer Magazine’s Reader’s Poll for “Best Album of 2010,” ranked #5 in Decibel Magazine’s “Top 40 Extreme Albums of 2010” list, and appeared on over 65 “Best Albums of 2010” lists in North America, repeatedly ranking in the Top 10. In Germany, Metal Hammer Magazine awarded ENSLAVED the “Album Of The Year” title and the Dutch magazine Aardschok ranked Axioma Ethica Odini at #9. Axioma Ethica Odini also debuted in North America at #16 on the Billboard Heatseekers (New Artists) chart, #40 in the Current Hard Music Albums chart, and #72 on the Independent Current Albums chart the week following its release. Visit ENSLAVED online at www.ENSLAVED.no, www.myspace.com/ENSLAVED, www.facebook.com/ENSLAVED, www.youtube.com/user/enslavedofficial, and www.twitter.com/enslavedband.